What is the best car rental company in Christchurch? Renting a car provides you with the ultimate freedom to explore New Zealand! 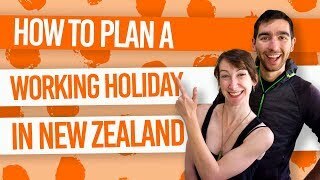 Starting your trip from Christchurch? Then check out this comparison for the best car rental companies in Christchurch for backpackers. As budget travellers, we are always looking for the best value for money. This Christchurch car rental company comparison will look at the Christchurch car rental market leaders that provide the best value for money. All the car rental companies listed below offer extremely competitive daily rental prices. What gives good value for money when comparing car rental companies in Christchurch? We’re looking at what’s included in the car rental, where you can pick-up and drop-off the vehicle and more. It’s also worth looking at what insurance is provided. Although we compare insurance costs between Christchurch car rental companies, we suggest you read the terms and conditions of your chosen Christchurch car rental companies to see what’s exactly covered. For more advice on comparing rental companies, take a look at How to Compare Car and Campervan Rental Companies in New Zealand. For more options, check out the Christchurch car rentals on Rentalcars.com. Location: In Christchurch, it’s either going to be near the Christchurch Airport or in the city. Figure out how you are going to get to these locations. Are they convenient for your? Are there any extra fees you will need to pay for the “premium” location? Also consider where you are ending your trip and whether the drop-off locations are convenient for you. Vehicles offered: Most car rental companies in Christchurch will maintain even their oldest cars to the highest standards, however a more modern vehicle is less likely to give you any problems. You also need to find a car type that meets your needs. If you are considering a campervan, head over to Should You Rent a Campervan or Car in New Zealand? Christchurch Pick-Up Location: Christchurch (Lichfield Street) and Christchurch Airport. Drop-off Locations: Christchurch, Auckland City Centre (Beach Road), Auckland Airport (Kingsford Smith Place), Wellington (Thorndon), Wellington Airport, Picton, Nelson, Blenheim, Queenstown and Queenstown Airport. Christchurch Pick-Up Location: Christchurch Airport. Drop-off Locations: Christchurch, Auckland Airport and Queenstown Airport. Christchurch Pick-Up Location: Christchurch City (Kilmore Street) and Christchurch Airport. Drop-off Locations: Christchurch, Auckland City Centre (Beach Road), Auckland Airport, Blenheim Airport, Greymouth, Napier Airport, Nelson Airport, Nelson City, Picton, Picton Ferry Terminal, Queenstown Airport, Queenstown, Wellington (Victoria Street) and Wellington Airport. Courtesy shuttle available to and from the Christchurch Airport between 7.30am and 6.30pm. Outside of these hours incurs a fee. Drop-off Locations: Christchurch, Auckland City, Auckland Airport, Dunedin Airport, Picton, Queenstown Airport and Wellington Airport. Bargain Rental Cars is all about competitive prices and the only car rental company in this comparison with a “best price guarantee”. They have several convenient pick-up and drop-off locations. However, be aware of the location fee for all airport locations (usually around NZ$30). Courtesy shuttle available for Christchurch, Hamilton and Wellington branches offering airport pick-up and drop-offs. Christchurch Pick-Up Location: Christchurch (Hornby). Drop-off Locations: Auckland (city centre, Onehunga, Glenfield, Mount Wellington, Grey Lynn and East Tamaki), Hamilton (Frankton), and Wellington (Cuba Street). Small cars, large cars, scooters, van/people carriers, trucks and trailers. Vehicle age range: 0 to 18 years old. Free insurance with NZ$1200 excess for 25+ year old driver or a mandatory NZ$15 per day insurance with NZ$2500 excess for 18-24 year old driver. Alternatively, there are insurance add-ons for NZ$10-$15 per day with less excess and bond to pay. A NZ$250 bond is only payable if you cannot supply credit card details. Learn more about age restrictions in Age Restrictions When Renting a Vehicle in New Zealand. Drive NZ is not only an affordable rental company but they also offer a price-beat guarantee. They provide a great range of cars from new to older models. There’s a minimal airport surcharge but no bond to pay (however, you will need to supply credit card details). Courtesy shuttle available between airport and rental depot. Drop-off Locations: Christchurch, Auckland Airport and Queenstown. Small cars, large cars, station wagons, 4WD, convertibles, people carriers and campervans. Vehicle age range: 0 to 15 years old. Free insurance with NZ$2000 excess or insurance add-ons for NZ$10-20 per day with less excess. No bond is paid but credit card details are taken. Christchurch Carhire offers affordable car rentals with the option for one-way hire at an additional cost. They have a huge range of vehicles in the budget category. Note that unlimited kilometres only applies on rentals over three days. Courtesy shuttle available for airport branches between 8am and 6pm offering airport pick-up and drop-offs. Drop-off Locations: Christchurch, Dunedin City, Dunedin Airport, Greymouth, Nelson, Picton, Queenstown and Queenstown Airport. Small cars, large cars, 4WD, station wagons, van/people carriers, and minibuses. Vehicle age range: 5 to 10 years old. Abell Rentals, who are also Letz Rent a Car, have a wide range of rental vehicles including minibuses. They offer competitive base prices on their rentals. Note that there is a shuttle fee should you want to get picked up or dropped off from the airport. Christchurch Pick-Up Location: Christchurch (Riccarton) and Christchurch Airport. Drop-off Locations: Christchurch and Auckland Airport. Small cars, large cars, station wagons, convertibles, people carriers, minibuses and trucks. Free insurance with NZ$3500 excess. Or insurance add-ons if over 25 years old for NZ$15-$28 per day with less excess to pay. Learn more about age restrictions in Age Restrictions When Renting a Vehicle in New Zealand. Jucy Rentals is car and campervan rental company with backpackers in mind. With a low minimum age and a great range of budget options, they are worth considering for a budget trip around New Zealand. Be aware that they do charge a “Premium location fee” for the Christchurch Airport, however this fee is minimal. Drop-off Locations: Christchurch, Auckland City, Auckland Airport, Wellington Airport, Dunedin Airport and Queenstown Airport. With relatively late vehicle models and competitive prices, McDonald’s Rental Cars is a good options for renting a car in Christchurch. They are a family business that operate on a personal level – quotes and information for your rental can be obtained by contacting them directly. Christchurch Pick-Up Location: Christchurch (Rangiora). Drop-off Locations: Christchurch, Picton, Wellington, Rotorua and Auckland. With a great range of budget vehicles available for rent, ANZED Rentals is well worth considering for an affordable trip in New Zealand. Plus, they have quite a generous offering of inclusions with your rental. The free phone rental is a good addition but it goes without saying that you will need to pay for the credit you use on the phone. Drop-off Locations: Christchurch Airport, Auckland City, Auckland Airport, Queenstown and Queenstown Airport.